BAGRAM AIRFIELD, Afghanistan -- Mark R. Adkins, who is the Joint Munitions Command senior staff technical representative assigned to 401st Army Field Support Brigade, received the highest recognition in the Quality Assurance Specialist (Ammunition Surveillance) career field when he was named QASAS of the Year for the GS-12 grade level. "The QASAS career program has a formal review or evaluation process in which each individual careerist is rated annually against a set of standards," said Mary L. Hoy, JMC senior command representative to the 401st AFSB. "This evaluation is submitted to a panel of senior career program personnel who evaluate and rank the careerists. To be rated as the number one careerist at a grade level is quite an accomplishment. This year there were approximately 114 GS-12 QASAS considered and Mark was rated as number one out of this group. The award is primarily internal recognition within our career program and the ammunition community at large," Hoy said. "It's quite an honor to be considered the top of the heap," said Adkins. Adkins has about 12 years as a QASAS and is completing his fifth deployment. He deployed to support Operation Iraqi Freedom three times and is nearly half-way through his second deployment to support Operation Enduring Freedom. He volunteered for all of his deployments. 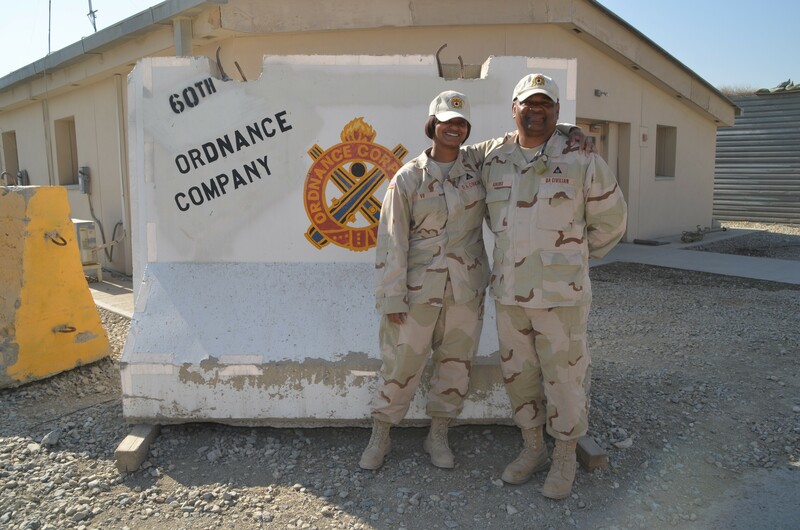 This deployment is, however, quite different from all the others because his daughter, Alfreda M. Vu, who is a QASAS deployed to Bagram as well. "Gunpowder is in our blood," joked Adkins who noted that his wife, Sylvia R. Adkins is also a QASAS at Wheeler Army Airfield. "Having my daughter here is nerve racking when there's an alert or exercise," he said. "I can't relax until she calls and lets me know she's all right." Adkins said he deploys because it provides personal satisfaction that he is making a difference in the war effort by making sure ammunition and explosives are safe for the Soldiers to use. Vu said her parents did not really influence her decision to become a QASAS, but they were able to provide a lot of information about the career field. She called it a "great career choice" and said she enjoys working with the troops making sure the ammunition is safe for them to use. 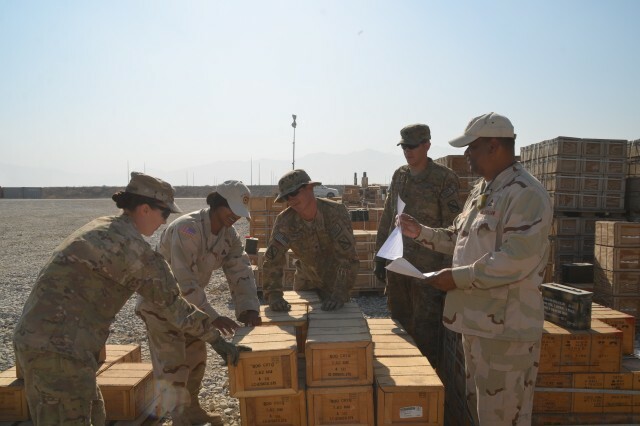 Adkins provides technical advice to 19 QASASs, seven logistics assistance representatives, five inspectors and materiel handlers located throughout the Combined Joint Operations Area-Afghanistan. He also spends much of his time in the office where he checks for notifications of suspension or restriction on certain lots of ammunition; sends out notices to the ammunition logistics assistance representatives and QASASs working with the units to segregate suspended or restricted lots from serviceable ammunition; and works on the mitigation strategy to dispose of unserviceable ammunition found during Operation Ammunition Clean Sweep I and II held in 2011 and 2012.